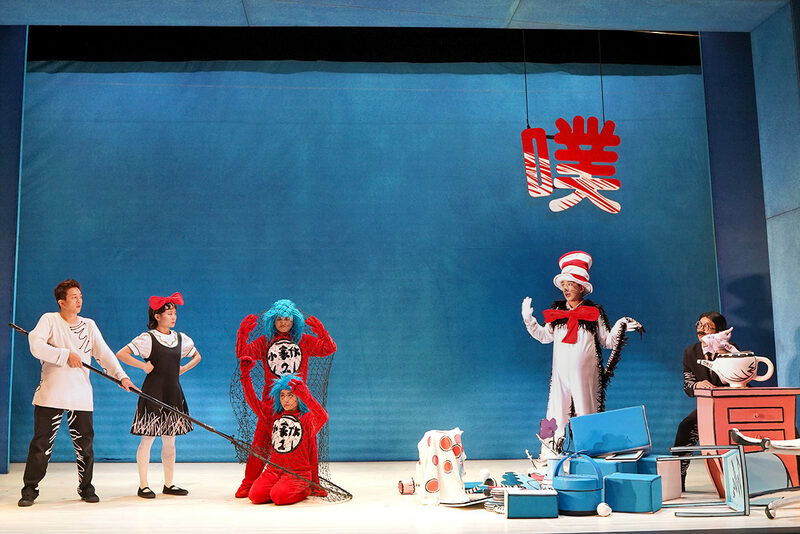 Based off the timeless children’s book of the same name by Dr. Seuss, the Singapore Repertory Theatre has brought back National Theatre’s stage adaptation of The Cat In The Hat, now faithfully reproduced by The Little Company and translated into Mandarin. 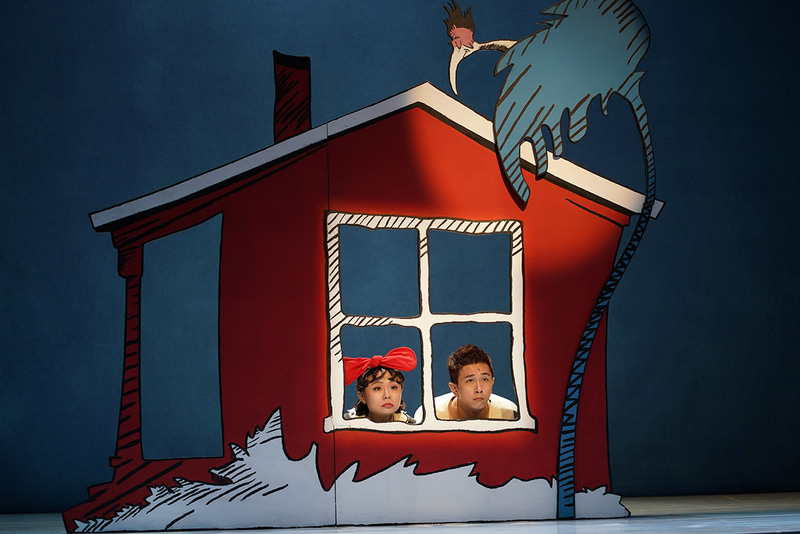 Known as a witty haven of rhymes and wordplay, The Cat In The Hat follows Sally (Ann Lek) and her brother (Sugie Phua) when they received a surprise visit from the enigmatic Cat in the Hat (Hang Qian Chou), turning a rainy afternoon into a fun affair. But when twin mischief-makers Thing 1 and Thing 2 (Claris Tan and Ong Yi Xuan) arrive on the scene and make trouble along with the Cat, Sally, her brother and their Fish in the Bowl (Trey Ho) must work together to stop them from wreaking havoc all over the house! 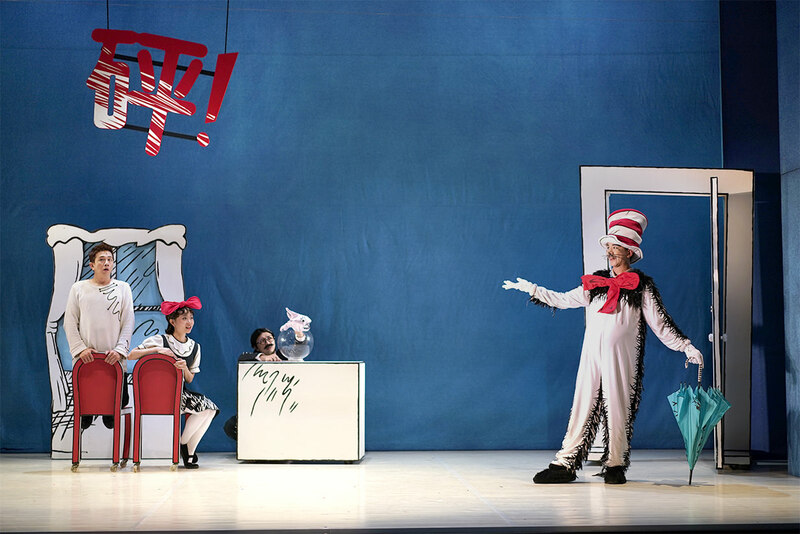 For anyone who’s ever read the original Dr Seuss books, this adaptation of The Cat In The Hat faithfully reproduces Dr Seuss’ drawings onstage, with a set pieces that look completely illustrated and capturing the original spirit of the text. There is a strong emphasis on using one’s imagination, as the appearance of the Cat immediately thrusts audiences into a fantastic world where anything is possible, utilising plenty of sounds, shapes and objects to stimulate the mind. 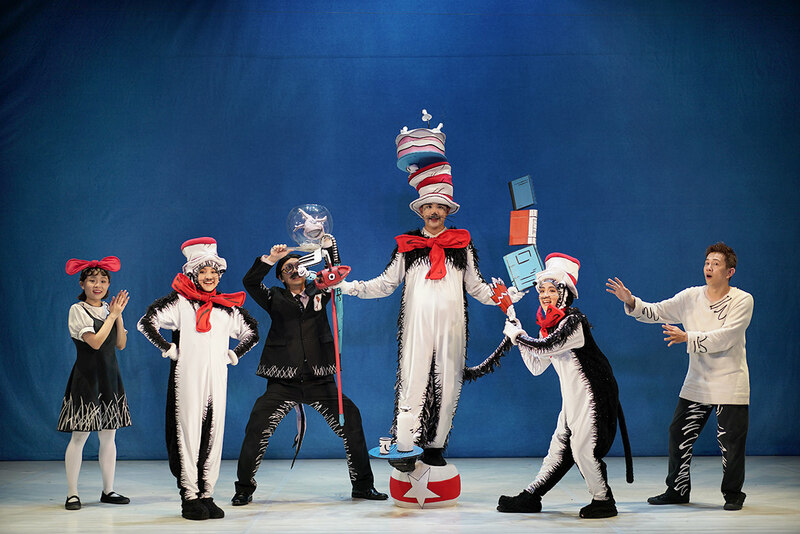 The Cat In The Hat knows its young audience, and its high energy and frenetic pacing ensures that there is never a dull moment onstage, particularly as Thing 1 and Thing 2 make their appearance. Almost like a pre-cursor to the Minions of today, they represent agents of chaos, livening up the show with their antics and rapid movements. When they team up with the Cat, one is left enraptured and entertained by the disastrous but organised mess these unexpected guests leave behind. By knowing that Sally and her brother’s mother is due home soon, there’s an air of suspense that fills the theatre as they worry about the mess to clean up, and a subsequent sense of relief once resolved – with a fantastic, futuristic vacuum cleaner from the Cat that clears everything in the blink of an eye. It’s times like these that you really appreciate the good work of the stage manager and stage hands as they stayed busy throughout the show changing the set and ensuring everything went smoothly at such a fast pace. 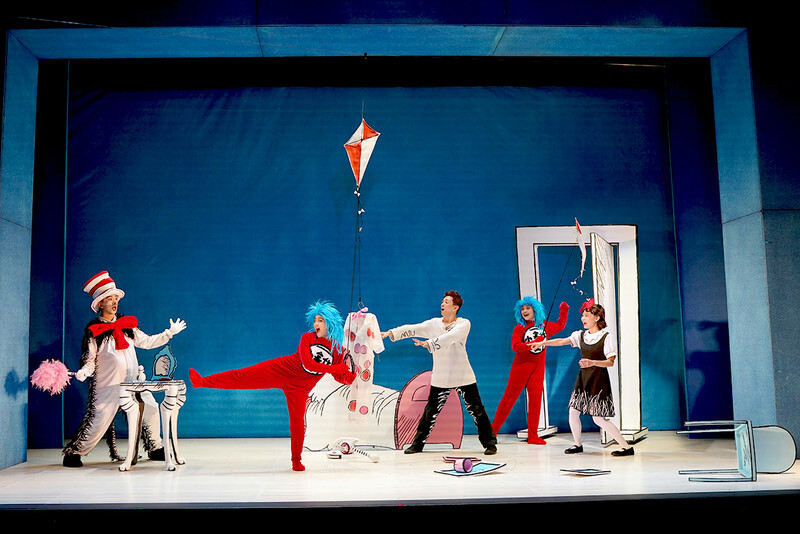 The Cat In The Hat is a fun, whimsical adaptation of a children’s classic that brings the work of Dr Seuss into reality, with the help of some choice sound effects and good lighting livening up the show, immersing audiences both young and old into a zany world that’s sure to put a smile on their face.